Awareness of the Marriage Law is essential for Indonesian women who marry foreigners to retain their land rights. Indonesian women who marry foreigners need to have sufficient understanding of the 1974 Marriage Law, the 1958 Citizenship Law and the 1960 Agrarian Law to enable them to retain their right to own freehold property. Article 35 of the 1974 Marriage Law clearly states that a person can retain all assets obtained prior to marriage or assets inherited during marriage, unless the couple makes a prenuptial agreement. The definition of assets here covers land and property. While articles 29 and 36 of the Marriage Law require Indonesian who marry foreigners to make prenuptial agreements in order to buy and own property if they wish to do so after they marry. The National Land Agency (BPN), however, uses the old Dutch citizenship law, which stipulates that Indonesian women who marry foreigners are automatically considered foreigners. This principle is then applied to the 1960 Agrarian Law, which stipulates that foreigners are not allowed to own freehold property and may only be granted leasehold title. This may explain why some Indonesian women who marry foreigners sell their land to the BPN out of fear that they will lose it or have their ownership status reduced to a 70-year leasehold title, which has to be renewed every 25 years. 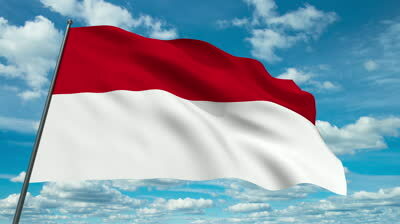 University of Indonesia international law professor Zulfa Djoko Basuki has criticized the BPN for referring to the old Dutch citizenship law when it comes to mixed marriage-related wealth, saying that this interpretation was bad since it was contrary to legal principles. “The old Dutch citizenship law has been replaced by Law No. 62/1958 on citizenship. The new law states that Indonesian women who marry foreigners are free to choose their citizenship. Therefore, they can still be Indonesians if they choose to be,” she told The Jakarta Post in a recent interview. She went on to say that the BPN’s adherence to the Dutch law infringed one of the most basic legal principles, namely the principle of simultaneous enforcement. “With the issuance of the new law, the old law is automatically annulled. Therefore, with the issuance of Law No. 62/1958 on citizenship, the old Dutch law no longer applies. Indonesian women who marry foreigners but still choose to be Indonesians still retain their right to own freehold property,” she said. Furthermore, a law that regulates specific things (lex specialis) automatically annuls the law that regulates general things (lex generalis). “Therefore, in order to regulate the right to own land or property in the context of mixed marriage, the BPN should adhere to the Marriage Law instead of the Agrarian Law,” she said. Commenting on the Marriage Law’s requirement for Indonesians marrying foreigners to make prenuptial agreements if they wish to own property after the marriage, Zulfa lamented that many Indonesian women failed to make such agreements out of ignorance about the law. “Many Indonesians still perceive a prenuptial agreement as having to do solely with asset division,” she said. As a result, many Indonesian women are surprised to find that they cannot buy or own property after marrying a foreigner. Indonesian Property Watch (IPW) executive director Ali Tranghanda said that Indonesian women’s lack of awareness of the abovementioned principles had caused them to lose their property ownership rights. Zulfa said that if women who married foreigners understood the intricacies of the relevant laws, they could challenge the BPN’s claim that these women’s freehold property ownership should be revoked, thereby retaining their rights, even after they marry foreigners. “If the BPN still insists on downgrading these women’s rights, then these women could go further and take the case to the PTUN [state administrative court]. If the judge rules in favor of these women, it could affect the jurisdiction of the BPN, rendering its efforts to force these women to sell their property obsolete,” she said. Zulfa said she regretted that so far no women had challenged the BPN or taken their cases to the PTUN because of their mistrust in Indonesia’s legal system. “This is a shame, when in fact just one legal action could trigger change for the whole system. Nobody can act above the law anymore,” she said. Ali said that people who were concerned about the issue needed to conduct educational programs or information dissemination events to spread knowledge on how women who marry foreigners could retain their rights. “We already have excellent regulations regarding property ownership. We only need to keep an eye on their implementation. Plus, we also need to make sure that these women are truly aware of how these laws can be used to protect them. It’s dangerous when such women are not aware of their rights,” he said. He added that the corrupt legal system made it even easier to exploit women who were ignorant about their rights. Some developers are of the view that to allow Indonesian women to retain their right to own property after they marry foreigners, “they need to be aware of their rights as well as the regulations stipulated by the three abovementioned laws, because these are the roots of the problem,” he said. “Furthermore, we need to keep an eye on the implementation of the three laws,” he added.